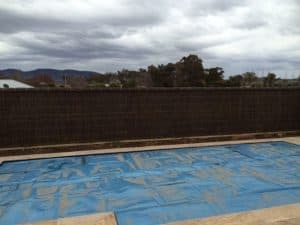 While most of the Brush Wood Panel Fences we build are located in Sydney’s North Shore, we occasionally are asked to head further afar and this project lead us to Mudgee NSW. Excited at a change of pace, new environment, and a little holiday… we happy accepted the job. 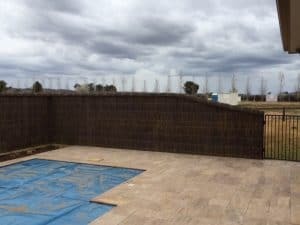 The customer asked us to create a pool compliant brush wood panel fence to create a private and aesthetically pleasing entertaining area. 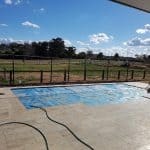 We started by removing the current pool fence and created the framework for the brush panels. 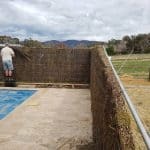 As much of the fence was level and of the same height, using Brush Panels, was a quicker and more affordable option when covering a large expanse. 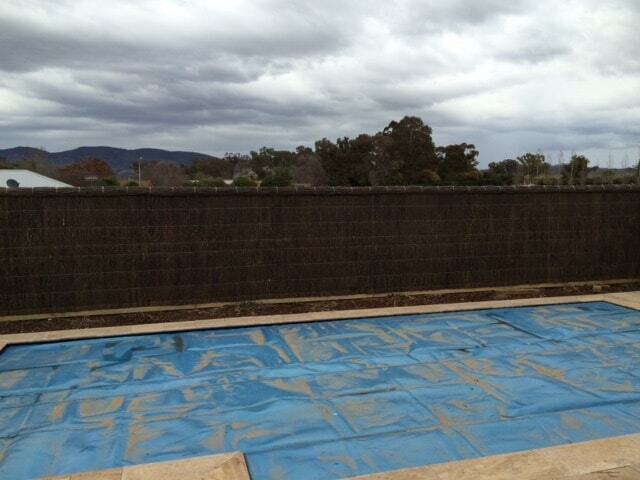 This was then neatened with the Brush Roll Capping technique to complete the job and protect the brush panels. 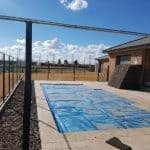 A Brush Wood Panel Fence is ideal around pools as they offer a pool compliant fence, that cannot be climbed and can be easily altered in height where necessary. 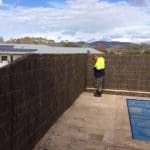 In addition to this we offer a compliance certificate and 5-year guarantee on our work. 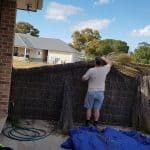 The final result for this Brush Wood Panel Fence looks amazing and the customer was overjoyed. 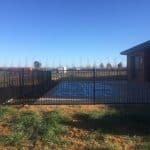 Contact us for an obligation free quote for a good quality, natural looking Brush Wood Fence.